Cyber security firm Cyber Prism has hired a new chief operating officer with a distinguished military career to help the business grow. Martin Smith, CBE MBE, a former serving Major General and head of the Royal Marines, will join the team with a specific focus on the oil and gas industry. Mr Smith worked extensively in maritime security during his military career. 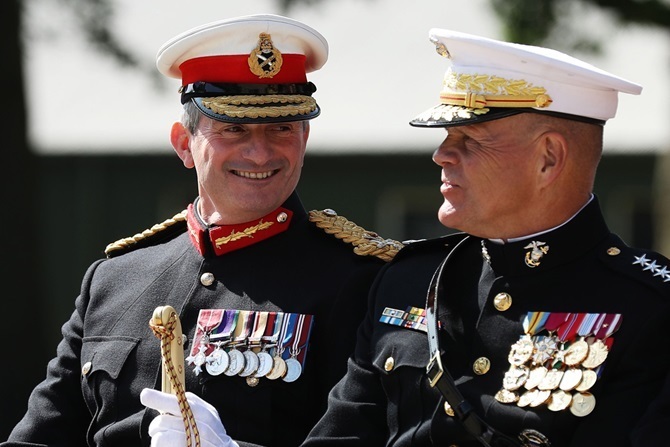 He headed up the military contribution to the oil and gas security, commanded multinational counter-piracy operations, and modernised the Royal Marines’ information and intelligence capability. He said: “I’m really excited to join the company at such a key stage of growth and help to create a flexible, cutting-edge organisation. “With over 4,000 malware attacks per day, and the NCSC warning the oil and gas industry to prepare for increasing threat levels, it is imperative that energy companies receive the right support to deal with one of the key challenges of our time. Mr Smith will be speaking at the Oil and Gas UK Cyber Security Seminar, which will look at the importance of cyber security and the concerns raised by it. The Seminar is to take place on September 18 at the Aberdeen Exhibition and Conference Centre.